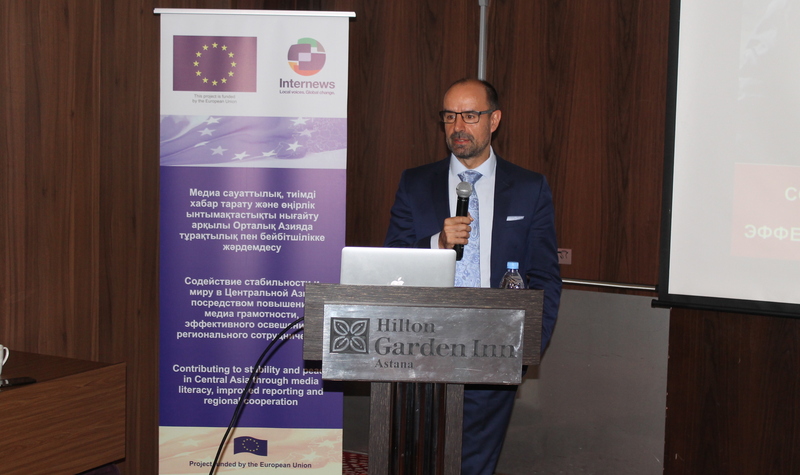 ASTANA -- The international non-profit organisation Internews is making progress in its efforts to improve media literacy and prevent radicalisation among Central Asian journalists and youth. The latest effort, a seminar called "Eduthon", took place January 24-26 in Astana. It is part of an 18-month project launched last April titled "Contributing to stability and peace in Central Asia" through media literacy, improved reporting and regional co-operation. It focuses on Kazakhstan, Kyrgyzstan, Tajikistan, Uzbekistan and Turkmenistan. The European Union has allocated €3.3 million to fund the project, which will continue through September. "In Central Asia, as in other parts of the world, 'fake news' and propaganda are becoming more prevalent and citizens are starting to understand that they need to take measures to combat the onslaught," Internews said in a news release after holding the first instalment of Eduthon in Bishkek last July. The goal of the Eduthon events is to "promote media literacy, digital literacy and critical thinking among university and high school students, and local communities", according to organisers. "Eduthon is an event that is democratic in form and fascinating in spirit," said Gulnar Asanbayeva, a journalist from Almaty who works as the regional media literacy consultant at Internews' Kazakhstan office. "It gathers those who actually do something to resist disinformation. We learn not only from mentors and foreign experts but also from each other," she told Caravanserai. "I consider participation in the second Central Asian media literacy campaign, where participants gather from Kazakhstan, Tajikistan, Uzbekistan and Kyrgyzstan, a unique opportunity," said Yevgeny Khabarov, co-ordinator of the Pavlodar city branch of the Youth Information Service of Kazakhstan. "These are informative sessions of local and international speakers, allowing [us] to fully absorb and learn the nuances of working with media and information literacy," he told Caravanserai. "Thanks to exchanges of experience among the participants, we are recognising and being immersed with new work methods, and we're developing strategies for the progress of media and information literacy in Central Asian countries," he said. "In addition, through the communication and teamwork of participants and mentors, truly meaningful projects are created, which are later implemented in real life," he said. "Internews training sessions on media literacy and countering violent extremism are very necessary activities on very important topics," Munara Borombayeva, a journalist from Bishkek, told Caravanserai. "This is especially important for journalists who cover [violent extremism]," she said. "A competent approach is needed that requires some knowledge." Journalists who lack awareness can unwittingly "spread extremist ideas", she said. "I received a lot of new information, acquired new contacts with experts... and gained new friends among journalists who write on these topics," she said. "In the future, we can not only write editorial materials together but implement joint projects." At the end of the first Eduthon -- the one in Bishkek last July -- participants developed projects on media literacy, digital literacy and critical thinking. An independent jury selected the five most viable projects, and Internews provided each winner with a small grant to implement them. This year, a jury selected another five projects that will receive grants of up to €4,000 each. 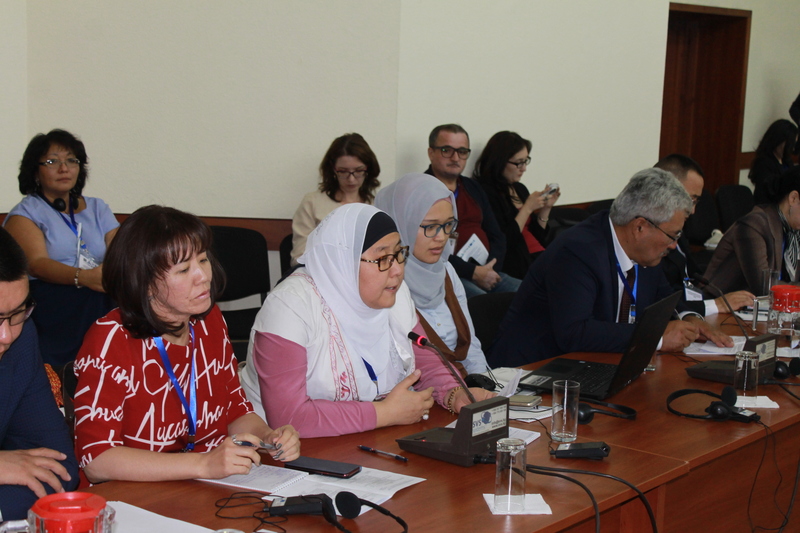 "We are leaving Astana with projects that are ready, for which grants can be won," said Nazifa Boimukhamedova of Dushanbe, a volunteer with the Tajik NGO Office of Civil Freedoms who attended this year's event. "We are sure that the support of mentors will help us get grant funding in the future." "All participants received certificates, gained new useful contacts and made good memories for the rest of their lives," she told Caravanserai. In December, more than 120 Central Asian and international specialists participated in an Internews-sponsored forum on the role of mainstream media, social networks and messaging apps in countering extremism. The forum, "Prevention of Violent Extremism and the Role of Media", was held December 6-8 in Bishkek. The next stage in Internews' ambitious 18-month media literacy project is the "Innovate.Play.Engage" Innolab scheduled for February 25-27 in Dushanbe. The event will bring together teams of media experts, designers, programmers and other specialists from Central Asia who have come up with media projects on conflict-sensitive topics. Under the contest rules, at least two countries must be represented on each team. Judges will select six teams to receive up to €14,000 each to implement their projects. The "Innovate.Play.Engage" Innolab aims to enable teams to develop their ideas and refine their multimedia storytelling skills, according to Internews. Efforts are being made to produce high quality media content and raise the level of critical media consumption by representatives of civil society, decision-makers and ordinary citizens. The €3.3 million project aims to increase media literacy and supports initiatives to prevent radicalisation in the region. International and local specialists came together in Bishkek to discuss ways to counter terrorism and extremist recruiters on the internet and messaging apps.